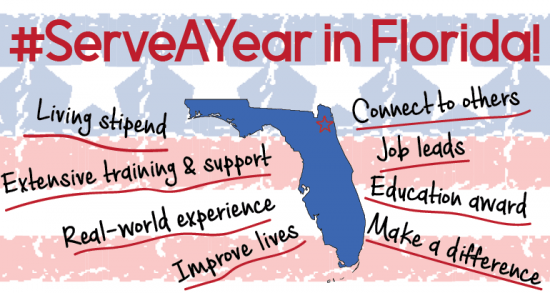 Every year the National Health Corps Florida AmeriCorps program seeks members who are interested in serving at different public health-focused nonprofits and government organizations. The program is a great chance for adults interested in the public health profession to gain more experience and knowledge. The National Health Corps Florida program is an initiative of Northeast Florida Healthy Start Coalition. The mission of National Health Corps is “to foster healthy communities by delivering and connecting those who need it most with health and wellness education, benefits and services, while developing tomorrow’s compassionate health leaders.” Members become community leaders in the course of 46 weeks and 1700 hours. For the 2018-2019 service term, here are the organizations waiting to be matched with a member.